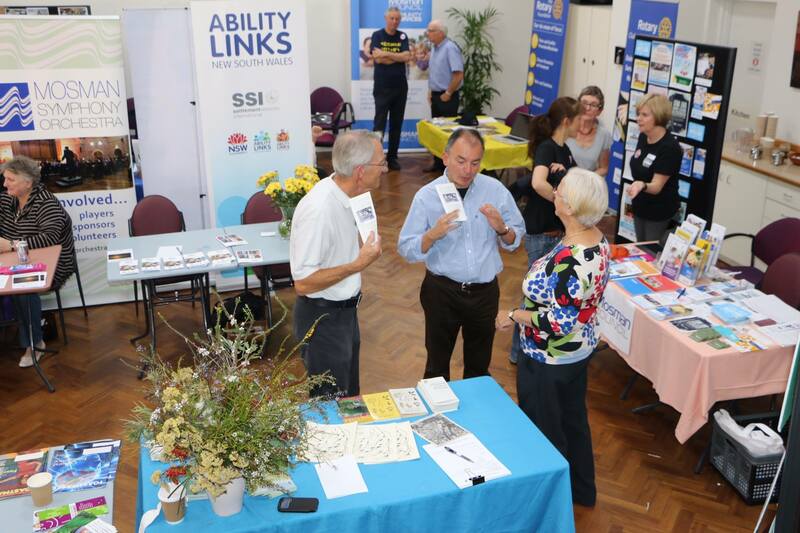 Bridget, Bob and Linda (along with their respective spouses) had a great day at the Mosman Community Showcase. What an amazing diversity of volunteer community organisations we have in this town! Thank you to Mosman Rotary and to Mosman Council for the great job you did organsing the event. It was good to catch up with some of our supporters including Councillor Tom Sherlock and also Virginia Howard, who is a not only director on the board of Mosman Bendigo Bank, generous sponsors of the orchestra for many years, but who also does sterling volunteer work for Taldumande Youth Services. It was a pleasure to meet members of the community who have been coming to our concerts and who gave some very encouraging feedback and also to connect with future players and audiences.